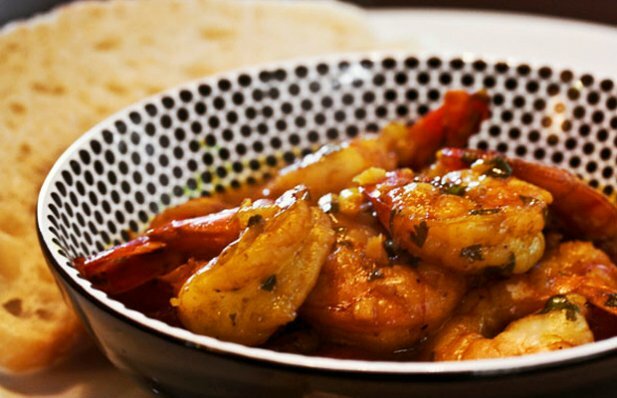 This Portuguese shrimp with Port wine recipe is a great appetizer. 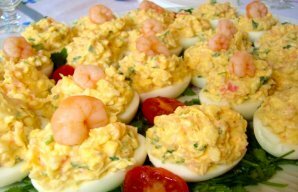 Cut the shrimps in two (starting from the tails to the heads) and place in refrigerator. Meanwhile, peel and slice the pineapple; marinate the pineapple slices on Port wine and the garlic cloves for about 2 hours. On a pot mix the olive oil, the honey, the coriander, the walnuts, the pine nuts and the pineapple. Let the pineapple soak for a few minutes and remove it from the sauce. On the same sauce fry the shrimps. Add the Port wine with the marinade and let it thicken. Then serve the shrimps with the pineapple and the sauce. Your friends will love this shrimp. 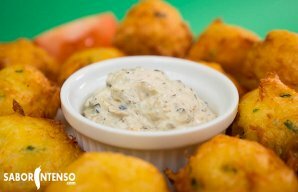 Serve these Portuguese cod dreams (sonhos de bacalhau) with the mayonnaise dip for a delicious appetizer.